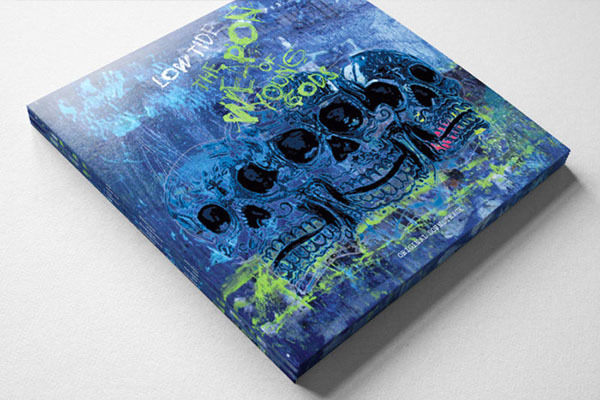 I sneaked in through the design industry’s side door thanks in part to my album cover designs, which I’d been creating for my own rock bands for several years already. I’ve since created album artwork for others as part of my lead design role at Oniracom, but I continue to make more for my own projects. These featured projects are only a fraction of what I’ve done. Some are digital-only, and some are physical releases—but I placed them all in physical release mockups because I can. Read the full story here. Digital and physical album artwork (18-page booklet, disc, and traycard) for my first solo disc, released in September 2015. Digital and physical album artwork (2-page booklet, disc, and traycard) for my side project Low Tide’s instrumental soundtrack CD, released in March 2008. 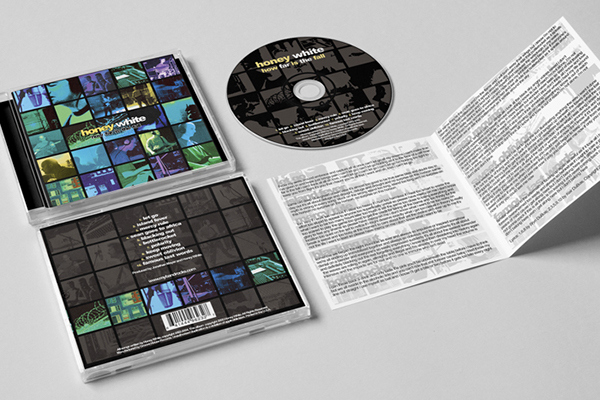 Digital and physical album artwork (2-page booklet, disc, and traycard) for my second band Honey White’s debut full-length CD, released in April 2005. Redesigned in 2018 with two 44-page PDF booklets for a digital re-release. 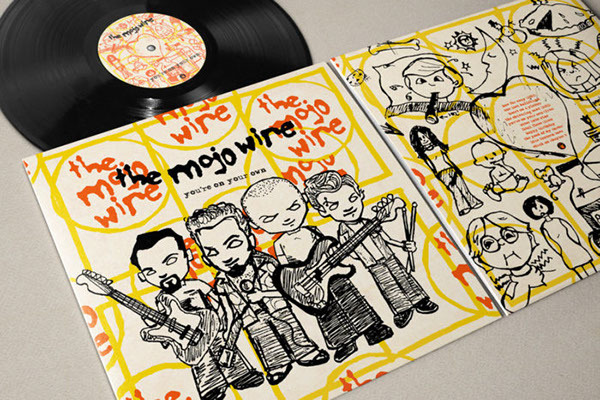 Digital and physical album artwork (illustrations, 2-page booklet, disc, and traycard) for my first band The Mojo Wire’s final CD, released in June 2001. More here. 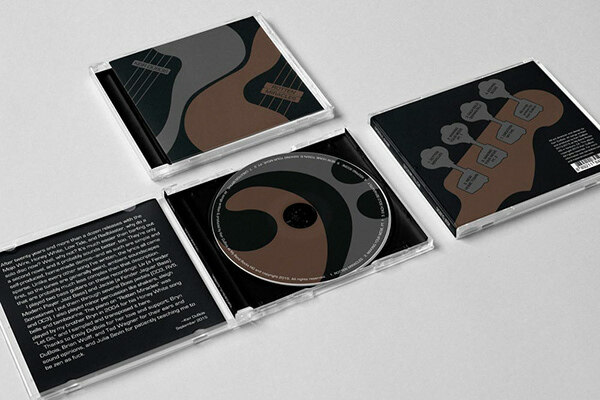 CD & Album artwork for personal and commercial projects.